Nature features strongly in local people’s visions of the future: surrounding our homes, on our journeys through the area and at destinations. 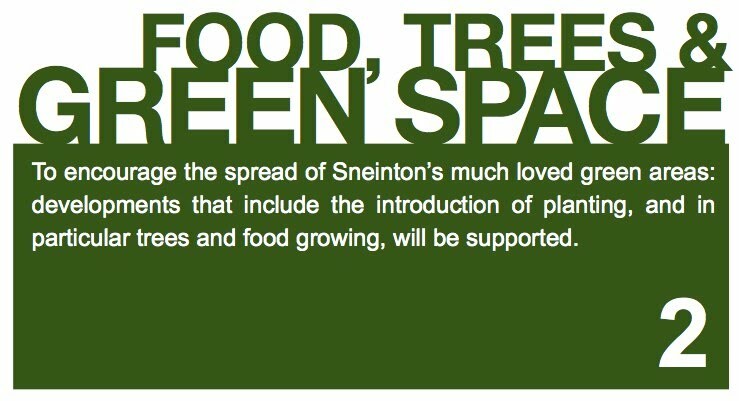 Open green space, and in particular trees, are characteristic of the places that we love in Sneinton. Sneinton has concentrated pockets of green space but also large areas of dense housing and industry without greenery; For many of us, nature is not something that currently makes Sneinton special, but it could be. Many of our enterprise ideas relate to the development of urban food growing and selling initiatives.